A guy and four of his friends visit his crippled uncle, a taxidermist who lives with his housekeeper next to a movie set. Pretty soon people start being killed in the manner they are in the script of the movie being filmed next door. 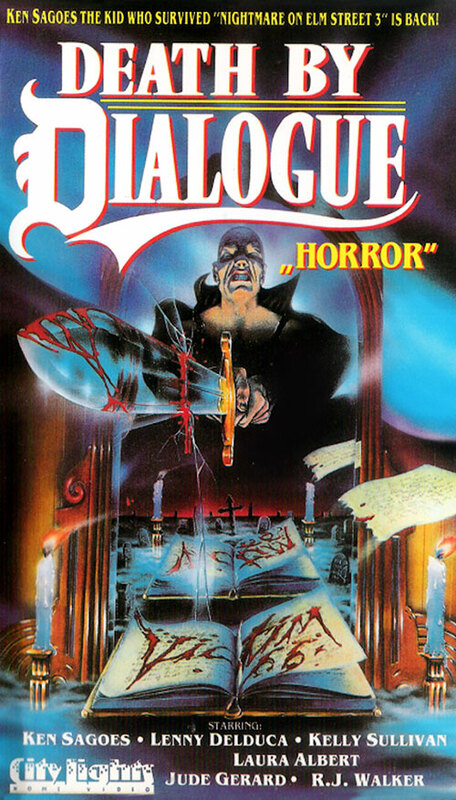 4 Response to "Death by Dialogue (1988) Thomas Dewier "
Do you have TWO FRONT TEETH (2006)? Thanks! Can you get a watchable version of the Witch with flying Head? Hi, sadly I can't, in fact I can't even find the barely watchable version posted here a long time ago.